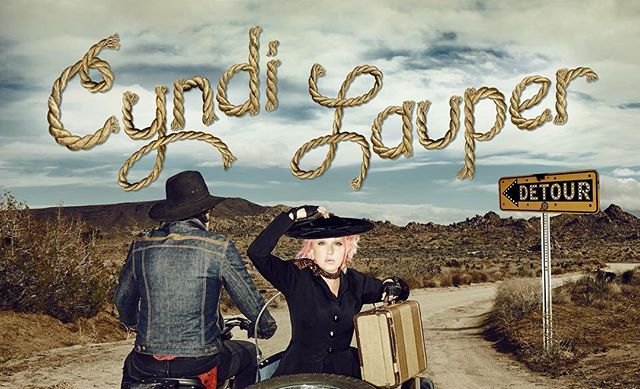 We recently featured Cyndi Lauper's upcoming country album on our 2016 list of anticipated album releases. 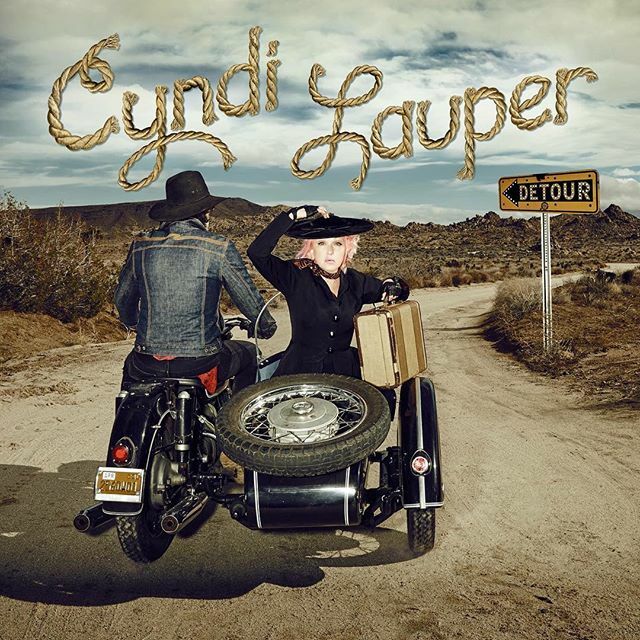 The upcoming LP titled Detour edges a little closer as the singer announced the tracklist and cover art this afternoon. The set features collaborations with country icons Emmylou Harris and Willie Nelson and is comprised of covers from the genre. Lauper's choices are generally pretty original from Wanda Jackson's Funnel of Love to early Nelson track Night Life. The singer previously released Dolly Parton cover Hard Candy Christmas last year, which closes the set. Detour hits stores May 6th. US readers can hear Heartache By Numbers at Rolling Stone.